Going the extra mile: Can long distance running lead to arthritis? 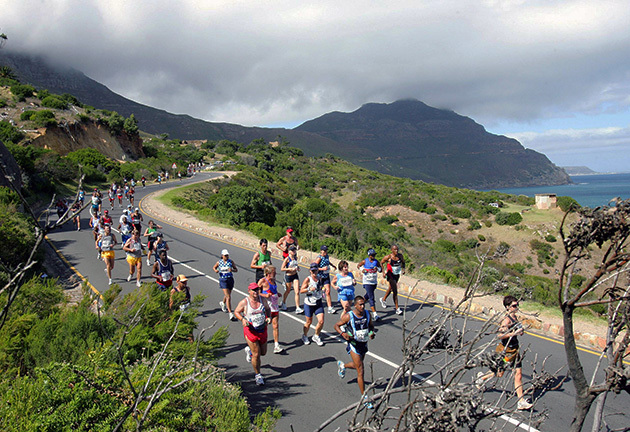 Long distance running is the road to good health and improved longevity. It has become extremely popular due to its ease and practicality, and virtually anyone can begin to run at a modest distance and pace and gradually improve his or her fitness at a comfortable and self-defining level. This is the sixth in a series of sports medicine articles from the world-renowned Rothman Institute. Series Editors are Rothman doctors Richard H. Rothman MD, and John A. Anderson MD. Long-distance running is the road to good health and improved longevity. It has become extremely popular due to its ease and practicality, and virtually anyone can begin to run at a modest distance and pace and gradually improve his or her fitness at a comfortable and self-defining level. However, the number-one question that we receive as orthopaedic surgeons is: will the wear and tear of long distance running cause premature and disabling arthritis to the knees and hips and ultimately lead to surgery. The answer is no. Not only does long distance running not lead to wearing out of joints, it also promotes joint and general health and lessens the risk of arthritis. This is somewhat counter-intuitive, but due to the positive impact on weight control and limiting one’s weight is a strong positive predictor of long-term joint health. Running is the most universally accessible and practical form of exercise: shoes, a shirt, and shorts are all that is required and then you can exercise anywhere in the world. Running may be the best, safest and most cost effective approach to mood control, glycemic control, weight control, improving focus at work or school, and socializing away from work. While anyone can get arthritis—especially those with prior knee or hip injuries—some form of running can be safe for most people. The key to safe running is in managing impact, the sudden deceleration that occurs on foot strike. If we always land in the exact same position with a hard impact, the hammer will always fall on the same piece of cartilage, putting it at risk for damage. Each of us has a built-in impact measuring device—our ears. If each running step is loud, there’s major impact; quiet running is relatively impact-free. Impact can also be reduced by running on soft surfaces. If even more impact reduction is needed—for example if a person is a bit overweight or is recovering from an injury—running in the water can provide a useful starting point for a transition to running on land. By adjusting the depth of water in which the running takes place, the impact can be adjusted as needed. Running on an elliptical trainer is another way to avoid impact on joints if the athlete is not ready for running on the road or trail. ​A final set of tips for running smart. Rotate different types of running shoes so that the impact is changed from day to day. Be sure to “trade out” worn shoes. Use yoga and core body strength exercises to maintain balance and coordination. Alternate running with exercises, such as rowing or cycling, that use the hip and knee joints through their entire range of motions so that all of the joint cartilage gets nourished. Cross training and diversity in exercise is a plus. Also, let pain and swelling be your guides. If you experience either, consult your physician. As both runners and joint replacement surgeons, our opinion is that smart running does not cause arthritis. Smart running means easing into it, listening to your body and respecting pain if it occurs, varying the exercise program and minimizing impact. Running has the capacity to extend our lives and joy to every day. So get up and do it! Richard H. Rothman, M.D., Ph.D. is the Founder of the world-renowned Rothman Institute, and has performed many thousands of hip and knee replacements. He has completed 20 marathons. Laura Matsen Ko, M.D. is a Joint Replacement Fellow at the Rothman Institute. She has run 19 marathons, one Ultramarathon and two Ironmans.